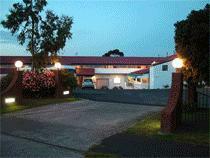 Balmoral Motor Inn is situated an easy 5 minute drive from the heart of Hobart. Providing convenient and comfortable motel accommodation, Balmoral Motor Inn is an ideal base to explore not only Hobart but the north and west regions of Tasmania as well. Visit Salamanca Place, Hobart's historic waterfront district, Cadbury's Chocolate Factory, then relax at Balmoral Motor Inn at their restaurant or spoil yourself with room service. Nearby Attractions : Close proximity to the City, Showgrounds, Racecourses, Derwent Entertainment Centre and en route to the North, West and North West areas of Tasmania. Deluxe Motel Room : Sleeps up to 2 guests on 1 Queen Bed. Deluxe Twin Motel Room : Sleeps up to 3 guests on 1 Queen & 1 Single Bed. Standard Twin Motel Room : Sleeps up to 3 guests on 1 Double & 1 Single Bed.